Vansan Makine has taken its place at IFAT2018, the most prestigious world’s leading Trade fair organized biannual in Munich. The fair was organized on the dates between 14-18 May 2018, in Munich, Germany, realized with participation of 3.305 companies from 58 countries and by visits of 141.000 guests. 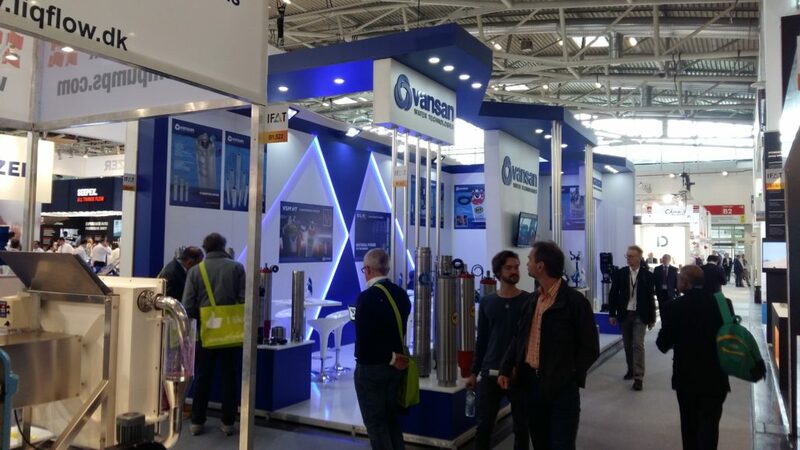 Vansan, the greatest brand of the sector in Turkey, had the opportunity to attend the fair, which representatives of the sector from all over the world participated in to strengthen existing customer relationships, build new ones and to introduce their products. VANSAN Makina San. Tic. A.Ş.